Don’t we all wish that we could go back to our childhood and relive our fondest memories? Three members of our alumni body are doing just that. 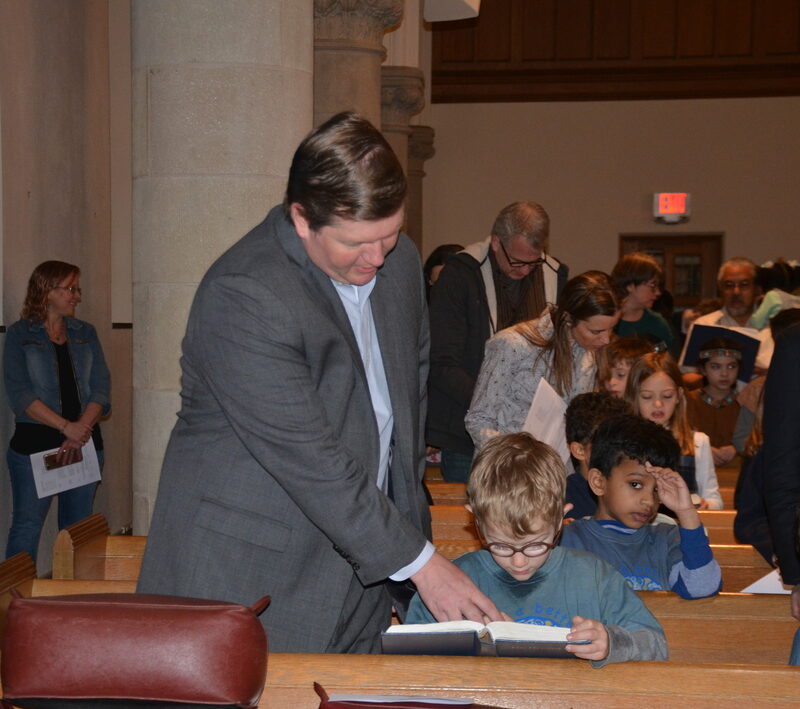 John Forrest ’88, Christopher Cavallaro ’90, and Alexis Highsmith-Smith ’91 recall the teachers, chapel, Elves’ Workshop, class trips, and holiday traditions as some of their favorite parts of being students at St. Thomas’s. And ironically, today, they find themselves living it all over again as they drop their children off with their former Kindergarten teacher, volunteer at Elves’ Workshop, and sing along to songs they know all too well during chapel. John Forrest graduated from St. Thomas’s in 1988, went on to Bowdoin College and Yale Medical School, and is currently an interventional cardiologist and member of the faculty at Yale. His family resides in Hamden and his two sons attend St. Thomas’s. John and his wife Emily are incredibly involved with the school; John as a member of the Board and Emily as the Vice President of the PTO. Christopher Cavallaro and his wife Randima have lived all over the world with stints in Japan, Central America, and New York City. Currently, Chris and Randima reside in Hamden and Chris works in finance at Morgan Stanley. 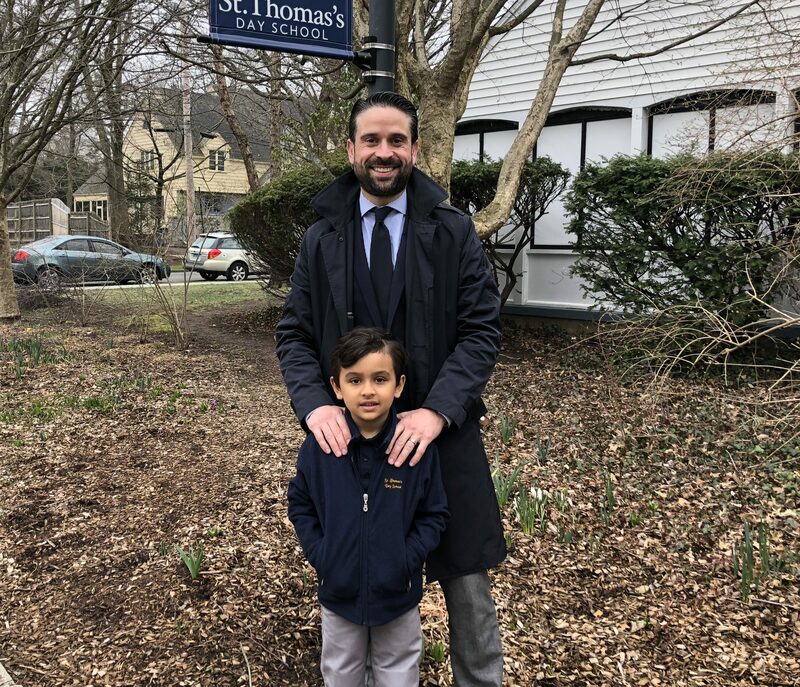 They returned to Connecticut to raise their sons – one of whom attends St. Thomas’s and the other one who will be coming to the school in the next few years. 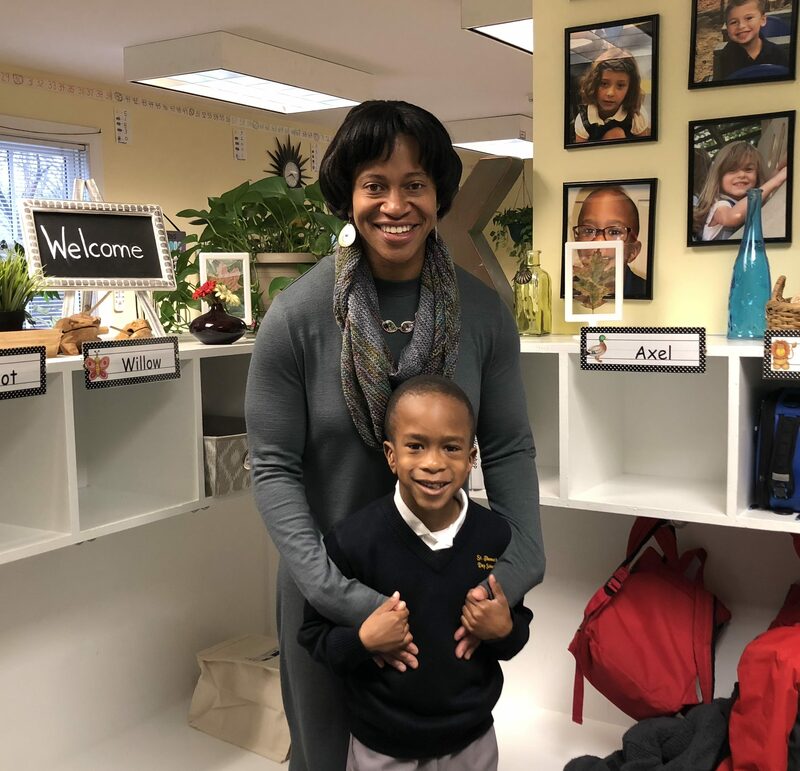 Alexis Highsmith-Smith is a graduate of the St. Thomas’s Class of 1991. She attended Hamden Hall and Duke University, going on to earn her law degree from the University of Wisconsin-Madison. She is currently the Executive Director of the New Haven Legal Assistance, a non-profit law firm in New Haven. Her son attends St. Thomas’s and her daughter will be in kindergarten next school year. 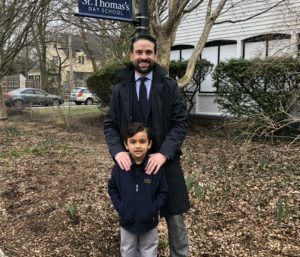 John, Christopher and Alexis played together on the playgrounds of St. Thomas’s and now their children are following in their footsteps. When asked if they always envisioned their children attending St. Thomas’s, they say no. As successful, professional adults with open minds, they explored all options, looking for the best fit for their individual children. John Forrest remarked, “I was quite hesitant to send my children to the same school that I had gone to simply because I did not want them to be limited to the same experiences I had as a child. However, in visiting St. Thomas’s from the perspective of a parent, I was very pleased to see that while the sense of community around the school remained, over the past decade there has been a modernization as it relates to the broad education of young children.” While our alumni all agree that the community, academic rigor, traditions, and values remain a foundation of the school, they have noticed that the changes, particularly in daily schedule structure and curriculum, allow St. Thomas’s to provide an unsurpassed experience and education for young children.